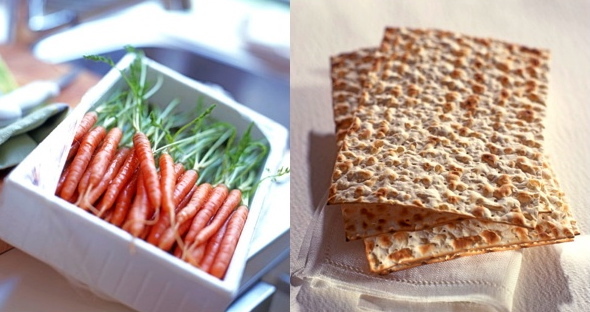 Passover, or Pesach in Hebrew, is an eight-day (seven in Israel) holiday that celebrates freedom, by retelling the story of the ancient Israelites’ liberation from Egypt. Special symbolic foods are arranged on the seder table, and we read out loud the haggadah, a book that tells the story of the exodus. One of the main goals of having a seder is teaching children about the exodus, encouraging questions from them in the hope that they will learn to appreciate (and fight for – my father would add) the gift of freedom. It’s not that hard to keep kids interested and involved, as this is one of the rare occasions when they are allowed to stay up REALLY late at night, which in itself feels like a big deal to the young ones. However, if a family seder with a couple of cousins can be fun, a whole community seder with a couple of hundred people and a bunch of kids of different ages can be a total blast, and if you ever visit Venice for Passover and make sure to reserve a spot on time, you will be able to witness just that (you may want to bring ear plugs). The tradition of the public seder in the social hall in Venice goes back to 1891, making it the oldest in Italy. Apparently, it was nothing short of revolutionary, for a traditional community with an orthodox rabbi to have a public seder (which is generally more of a reform tradition, unless one is at a vacation resort). 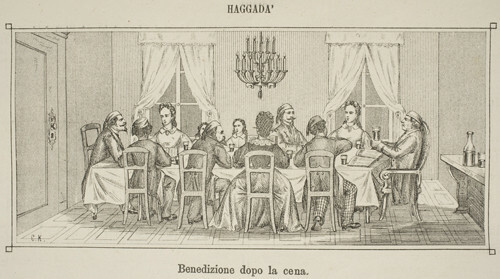 However, the Venetian mutual aid society “Cuore e Concordia” (heart and concord), which initially created the seder only for children and the poor or people left without a family, later realized that, with the increasing level of assimilation, there were many families that lacked a person capable of leading a traditional seder and reading from the Haggadah in Hebrew, and opened the event to the whole community. Fast-forward more than 120 years, and every Passover, about 200 people (half of the Jews of Venice… plus some tourists, of course) celebrate with a degree of energy and joy that are rarely seen in a smaller context, culminating in the children’s loud singing of “Capretto” (Little Goat), the local version of the famous Passover song “Had Gadya“. One of the consequences of having a large public meal every year is that the traditional menu for the whole community has become crystallized, and changing any item would feel like converting to a different religion. In particular, we are all very attached to the vegetable sides: artichokes, of course; stewed fennel; and this sweet-and-sour carrot stew, which will remind some of you of Tzimmes, but it’s much less sweet. Make sure you use the best organic carrots you can find, and to cook them until they are quite soft: they are supposed to be stewed, and not sautéed. Place the oil (or oil and chicken fat) in a pot or skillet with the sliced carrots, and drizzle with about 1/2 cup water.Add salt, and cook on low heat, covered, stirring occasionally, for about 10-15 minutes. 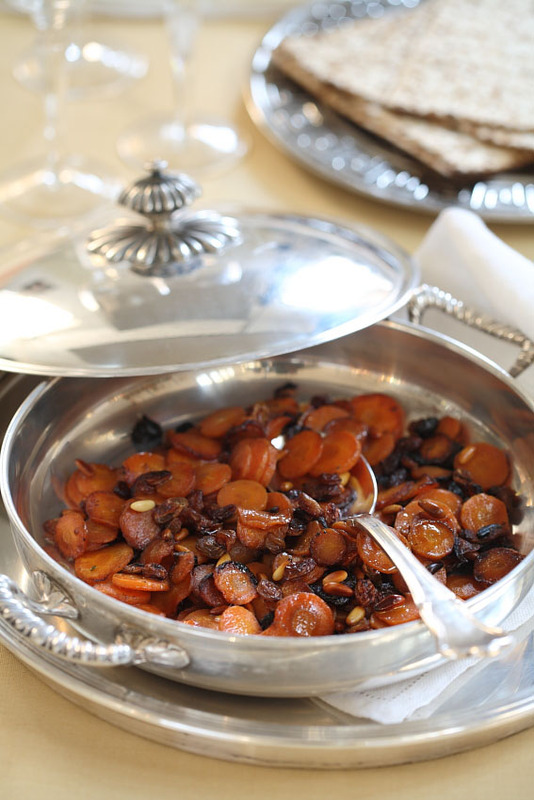 Add the raisins and pine nuts and some black pepper, and cook uncovered, over high hear, for 2 to 5 minutes longer or until desired tenderness (the carrots should be soft). When they are almost done, add the vinegar and cook for one more minute or until it's absorbed. I can’t claim to have ever been the “meat and potato” type in the classic sense – someone who prefers them to vegetables, or even fools herself into thinking they are one. No, thank you: as a side, I’d much rather have something very green, such as artichokes, or kale . However, I’m obsessed with potatoes as the main ingredient in more elaborate dishes: from gnocchi to pancakes, from croquettes to breads, and especially desserts. In our carb-phobic day and age, potatoes have been accused of being too starchy, but that’s exactly what makes them so perfect for breads and cakes: yeast thrives on these starches, and the end result is a baked good with a light, fluffy, and yet moist texture. 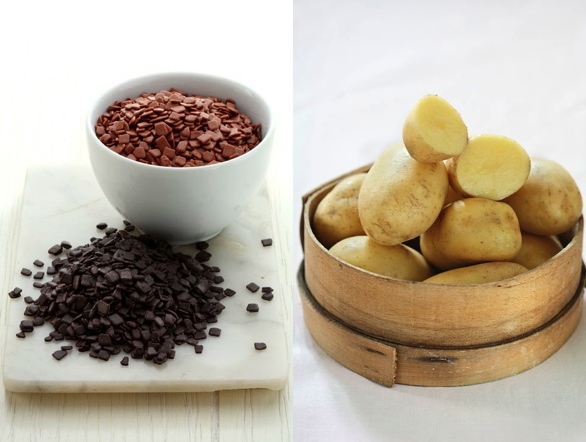 Not that I was always so particular about texture – I have to confess that my fondest memory of a potato “dessert” is actually a concoction much less refined than what I enjoy now. I was probably in 6th grade and it was a lazy winter afternoon, doing homework at my friend Rachele’s house, when her older brother, probably to fight boredom, brought a bowl of French fries and dared us to dip them in Nutella. After a few shrieks of disgust, we accepted the challenge, and discovered that the pairing was quite addictive. My friends’ mom called us “porcelli” (pigs) for eating such a non-standard snack: if only I could send her a a photo of the ridiculously overpriced package of chocolate-covered potato chips now being sold at Crumbs bakery in New York! We were not crazy, but rather, adventurous! It turns out that there are a number of old recipes, in Italy and elsewhere, for potato desserts: from fluffy doughnuts to moist cakes, and creamy puddings. Let’s call them extra-comfort food! Last, but not least, they are gluten-free, and Passover-friendly. 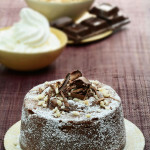 Which is why my contribution to this month’s Passover-themed challenge for the Kosher Connection is a decadent, almost naughty, fluffy and yet creamy Budino, an Italian custardy pudding/cake, with all the richness of potatoes, almonds, chocolate, and if you like even whipped cream. I guarantee you won’t miss the flour! Peel the potatoes, cut them into pieces them and place them in a pot of cold water. Bring to a boil and cook for about 20 minutes or until tender. Melt the chocolate in a double boiler or in the microwave. If using the microwave, cook for only one minute at a time, check, stir, and proceed in this way until most of it is melted. Add the melted butter (or coconut butter, or margarine), the liqueur, sugar, vanilla and salt. Add the potato starch, the egg yolks, and the ground almonds. Mash the potatoes and combine them with the mixture. In a clean bowl beat the egg whites with a few drops of lemon juice or white vinegar until they form peaks, and incorporate them to the batter with a spatula, using upward motions. Grease a mold (the one I used was about 7 1/2" w by 3" h). 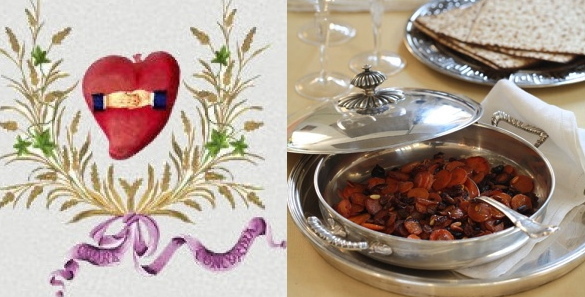 If possible, also line the bottom with parchment. Pour the batter into the prepared mold, and cook for about 40 minutes in a pre-heated 350 F oven. Allow to cool, unmold, and decorate with powdered sugar and either whipped cream or chocolate syrup (or both). 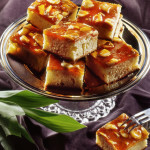 Whenever I bite into this delicious almond cake, I can’t help but wonder about the origins of its name: Bocca di Dama means “Lady’s Mouth” in Italian. Was a romantic baker in love with a beautiful customer? 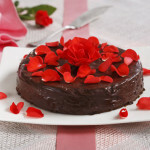 Or is the cake so sweet, soft and moist that it reminded someone of a passionate kiss? 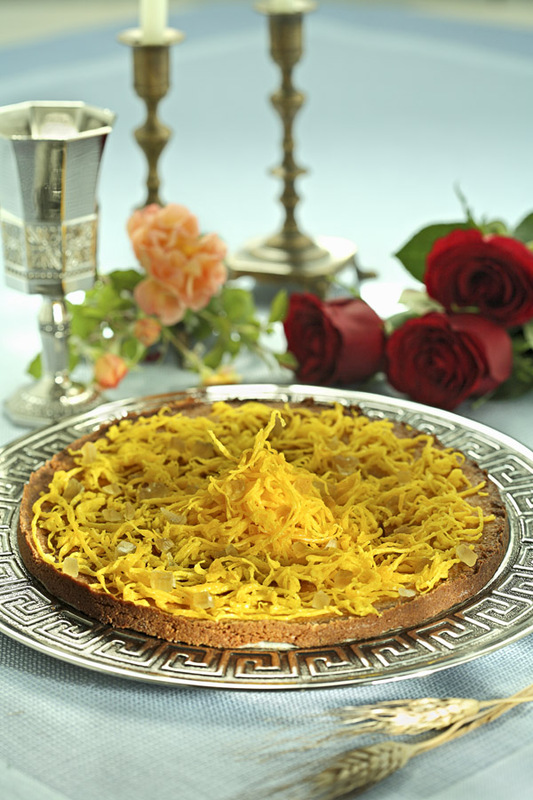 This Passover dessert, popular among the Jews of Leghorn and in several other Sephardic communities, is so ancient that nobody really knows. The only thing that’s certain is that, just like kisses, it’s highly addictive, and you probably won’t be able to stop at the first bite. Don’t say I didn’t warn you: if it’s just you, and the cake, you are set for failure. Surround yourself with lots of guests. My husband once made the whole thing disappear overnight. 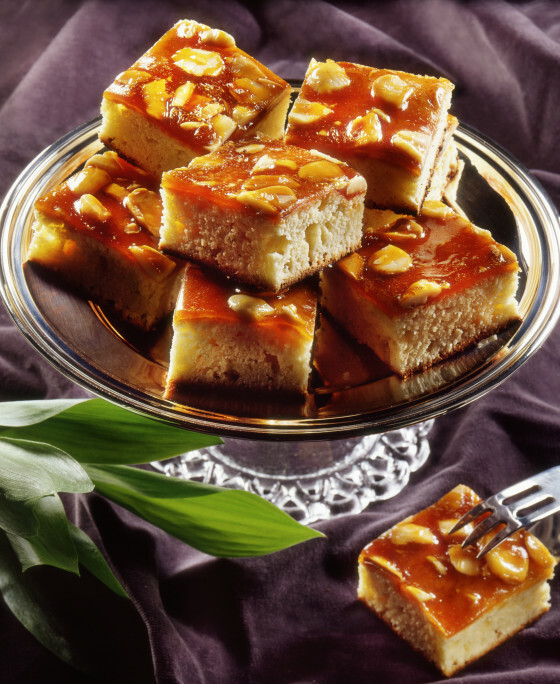 In this version, the tanginess of orange complements the mild and buttery texture and flavor of the almonds: use organic fruit for the best results. 1/8 cup or 3-4 tbsp matzah flour. For GF, use GF matzah or potato starch. Grate the zest of an orange and set it aside. If planning to decorate with the caramel, place the peeled oranges in a small pot, cover with water and bring to a boil. 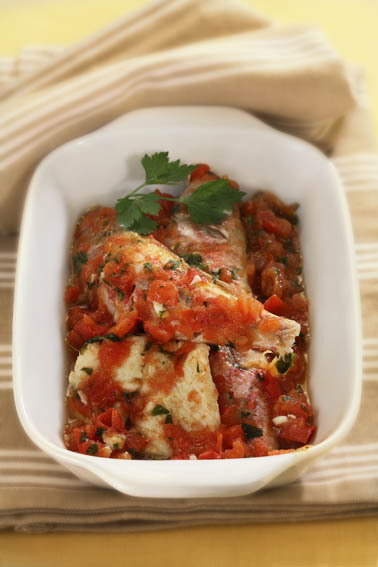 Simmer for about 30-40 minutes, covered (skip this step if decorating with orange marmalade). Beat the egg yolks and 2 whites with the sugar and the salt until frothy. 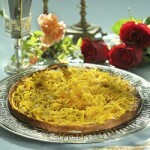 Add the ground almonds and the matzah meal, the zest of one orange , the liqueur if using, and combine well. In a separate bowl beat the whites with an electric whisk until stiff; gently incorporate them into the batter with a spatula, using an upward motion. Grease the sides of a baking pan and dust with matzah meal, and line the bottom with parchment. In a pre-heated oven, bake at 350 F f(on a regular – NOT convection – setting) for 30 minutes, then lower the heat slightly (to 335 or 340) and cook for another 20 to 30 minutes (50-60 total), checking periodically with a toothpick until the cake is moist but not liquid inside. Once the top is golden, you may want to cover it with foil for the last part of the cooking. Once the cake is done, turn off the oven setting the door slightly ajar and allow the cake to rest inside for an extra 15 minutes (similarly to what you would do with a cheesecake!). Remove from the oven and allow to cool down completely. In the meantime, melt the remaining ½ sugar with 1/2 cup of the water in which you boiled the orange. You can double the dosage for a thicker layer. Make sure to use low heat, stirring constantly, until it forms a caramel. Stir in the remaining shredded zest of the first orange, and brush on top of the cake. 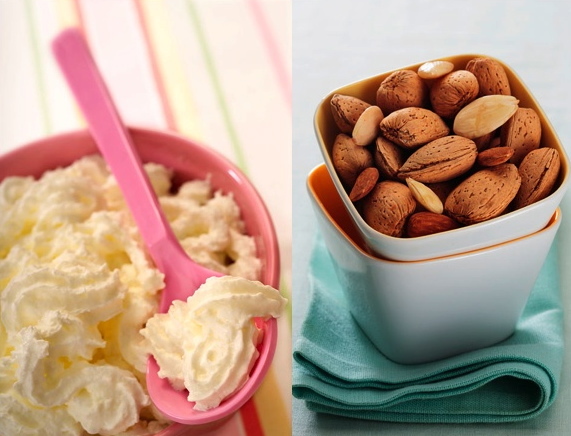 Decorate with sliced or slivered almonds. If you don’t feel like making the caramel, you can just glaze the top of the cake with about 4-5 tablespoons of orange marmalade diluted with 2 tbsp hot water. * For those of you who love oranges, there is also a version of this cake that incorporates the boiled pulp of the 2 oranges into the batter. The recipe is pretty much the same, except that you should use only 4 yolks (beaten with the sugar), and 4 egg whites (beaten stiff). After removing most of the white membranes, place the cooked oranges into a blender, and add them to the batter. Other than that, proceed in the same way. 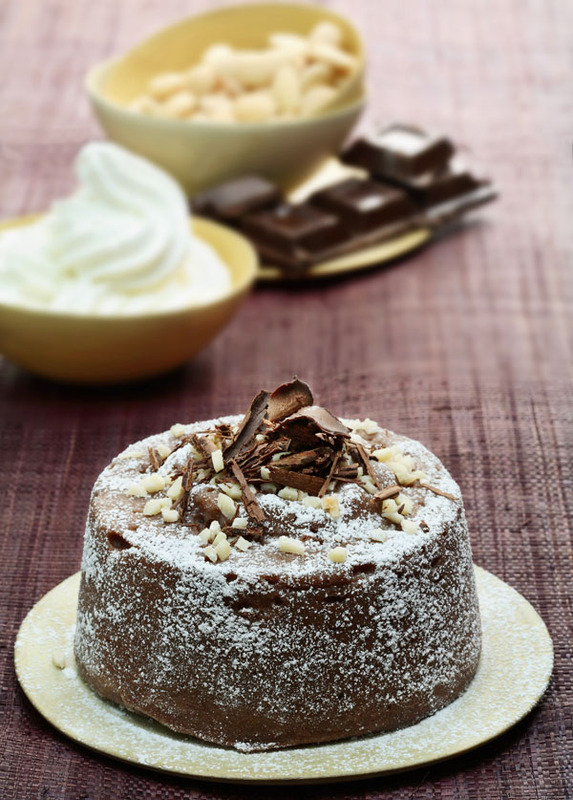 Because the cake will be much more "orangey", you can decorate it with simple powdered sugar. 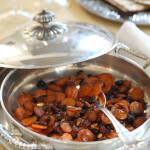 This recipe was my contribution to my friend Tori’s Passover Potluck project 2012. Check out the more detailed intro and my step-by-step pictures on her blog, here (you will also love all her yummy recipes!). 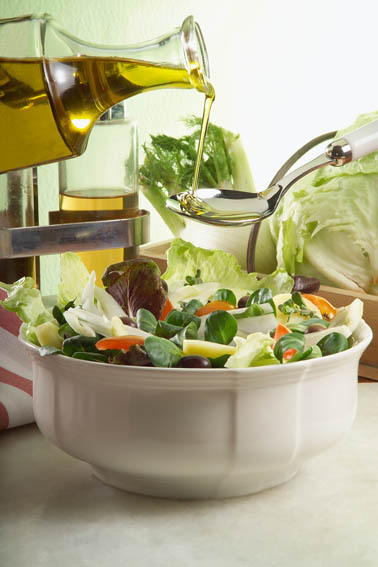 Clean the vegetables, discarding the tougher parts of the artichokes and asparagus. Cut the asparagus into small pieces, slice the artichokes very thinly (if using frozen, partially defrost first), and chop the spinach. Blanch the spinach for about 5 minutes in a covered pot with a few tablespoons of water (you can also do this in a covered platter in your microwave). Allow to cool down, then drain and squeeze the liquid out by pressing it into a colander in your sink. Prepare three separate skillets on your stovetop, with at least 2 tablespoons of oil in each. Heat the oil and add 2 whole cloves of garlic to each skillet. Place the artichokes in one skillet, the asparagus or mushrooms in another, and the spinach in another. Add 1/2 cup of white wine each to the artichokes and the asparagus/mushroom skillets and salt to taste. Turn heat on those two skillets to medium. Allow the vegetables to simmer in the wine till it evaporates. Add 1/3 cup of water to the artichokes, and cover both the artichokes and the asparagus. 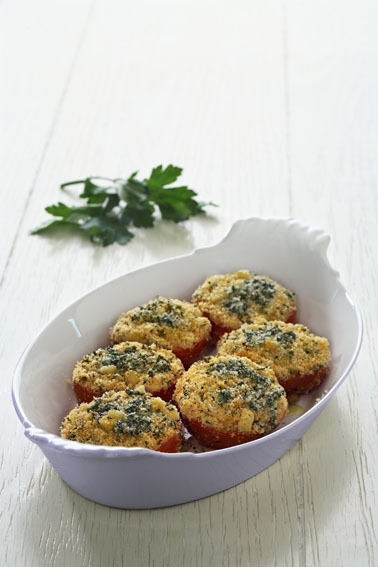 Salt the spinach skillet to taste (do not add any wine). Turn heat to low. Cook all 3 vegetables separately on low heat until very moist and tender, adding some water if they start sticking to the skillet, or if they dry out. Cooking times may vary between 15 and 20 minutes. Discard the garlic cloves and set the three vegetables aside. 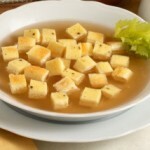 If they feel too dry, add a few tablespoons of broth. Make sure you have some “sugo d’arrosto”* (roast juice) ready, or make some following my instructions at the bottom of this recipe. Soak the matzahs in cold chicken broth. For a prettier result, soak them briefly (about 10 minutes), a few at a time, not allowing them to crumble (if you soak them for a short time, they might still split in 2, but they will be easy to “re-compose” in the pan). For a softer, kugel-like texture, soak the matzahs for at least 40 minutes until very soft, break them down with your hands into a “mush” and then squeeze the liquid out (some people prefer this texture and they don’t mind the fact that it looks less “pretty”). Line the bottom of a baking pan with about ¼ of the soaked matzah. splitting some in ½ or 1/3 as needed to completely fill the perimeter. 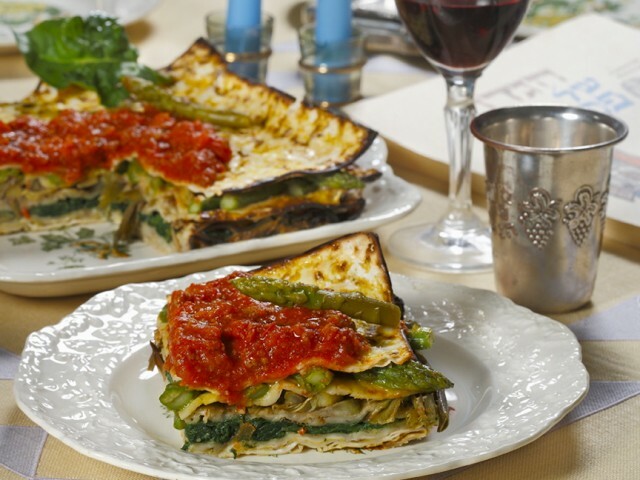 Brush or drizzle with a little “sugo di arrosto” and with about 1/3 cup broth (if you mush the matzah you will need to use less broth; whole matzahs, more broth), and then layer most of the spinach (reserve about ¼ for the top); follow with a layer of matzah, a little more “sugo d’arrosto” and broth, and the artichokes (set aside ¼ of all the vegetables) ; again matzah, roast juice, broth, and the asparagus. 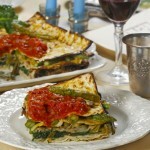 You can just top with the asparagus or make a final layer of matzah and top with roast juice. Break the eggs and whisk them with 1 cup leftover broth. Pour the mix over the pie slowly, trying to cover it evenly and allowing it to penetrate down the sides (if you are serving this dish as a side and prefer a lighter version, or if you are making a vegan modification, you can skip the eggs). Bake for about 40-45 minutes. Half-way through the baking, check the pie, and if it feels too dry, add some more broth, concentrating it on the perimeter of the matzahs. You can also cover it with foil for the second half of the baking. 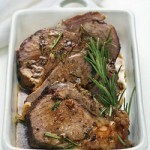 Roast some beef with olive oil, garlic and rosemary leaves. When the meat is done, remove it and strain the pot juices, which you will add to the matzah pie (if it’s not Passover, the roast juices also make an awesome pasta sauce!). 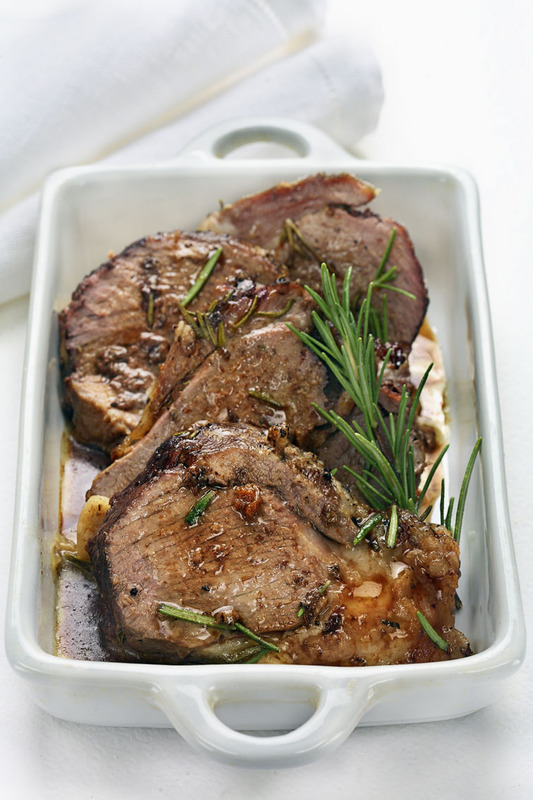 If you don’t need to make a whole roast beef, you can make a “fake” roast juice sauce by heating some olive oil in a skillet, and cooking a small amount of ground meat in it with a few whole cloves of garlic, some rosemary, salt and pepper. And if you are vegetarian or vegan, just heat the oil with garlic and rosemary and skip the meat! 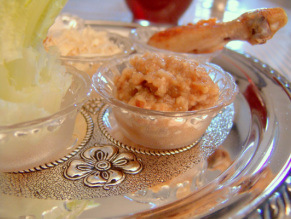 A great matzah-free option if the first Seder has left you feeling stuffed like a Passover turkey and you need a break! 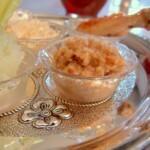 You can also serve this at the seder as an alternative to your matzah balls for gluten-intolerant guests. In a bowl stir together the eggs, the parsley, salt, pepper, the salami, and the nutmeg. Heat some olive oil in a non-stick skillet, pour the mixture in, and once one side is cooked flip it over and cook the other side. If you prefer and if the skillet is oven-proof, you can also cook the second side by broiling in the oven (if you are nervous about the flip!). 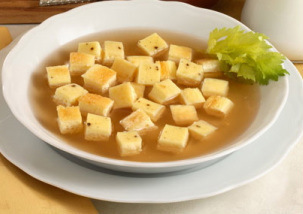 Let it cool down and cut it into small cubes that you will place into a bowl and cover with steaming hot chicken or beef broth. Instead of making a thicker frittata and cutting it into cubes, some people like to prepare very thin ones (crepe-like), and slice them thinly to resemble fettuccini. Obviously, this is not only for Passover! 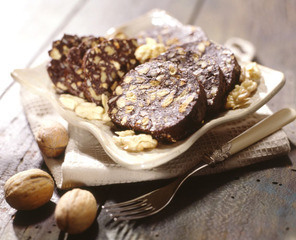 Ask any Italian child and they will probably name chocolate salami as their favorite dessert, any time, anywhere. Melt the chocolate with the sugar in your microwave or in a bain-marie. Add 4 tablespoons hot water or oil and stir until smooth. 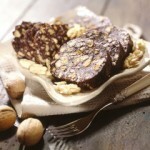 Add the cookies, nuts, liqueur or extract, candied peel. 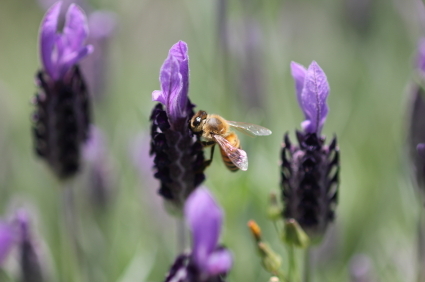 Taste and add a couple of spoonfuls of honey if you would like it sweeter, and one or two more tablespoons hot water if it’s hard to stir. Allow to cool. When it’s lukewarm, shape it into a salami and wrap tightly in plastic wrap or aluminium foil. Let it rest in the refrigerators for at least 6 hours. About 30 minutes before serving, unwrap and cut into slices. For a softer texture, replace the water with oil. *kosher-for-passover baking powder can be hard to find, but this year my kosher supermarket carried two different brands. The baking powder will make this cake even fluffier, but if you can’t find it the egg whites are enough to make it soft. ** Kosher for Passover Confectioner's sugar can be also hard to find, but it's easy to make by processing 1 cup of granulated sugar with 1 tablespoon potato starch in your food processor for at least 3 minutes. Cook the spinach for 10 minutes in a covered pot with 4-5 tablespoons of water. Once it’s soft, drain, squeeze, diwcard the liquid (I usually line a colander with cheesecloth or paper towel, place it in my sink and press the spinach down in it with a bowl. Grind the almonds and the spinach together finely in your food processor (I never buy ground almonds, I find that the flavor and texture are too ‘dry’: it takes seconds to grind almonds in a food processor). Set aside and wipe the food processor, then place the egg yolks in it with the sugar and a pinch of salt and beat until foamy. Add the spinach and almond, and the liqueur, and keep pulsing until combined. Melt the margarine in your microwave or in a small skillet (if using oil, it does not need heating), and add to the mix. Keep pulsing and slowly add the potato starch, sifted with the Passover baking powder (if using). Remove the batter from the food processor and pour back into the large bowl. In a clean bowl, beat the egg whites with a handheld electric whisk until they form stiff peaks (to make this easier, I add a couple of drops of white vinegar or lemon juice to the bowl). Incorporate the whites into the batter with a spatula, using delicate upward movements. Pour into a 9” baking pan, lined with parchment and greased well (you can also dust it with matzo meal if you are not keeping gluten- or gebrokt-free). Bake for about 50 minutes or until a toothpick inserted into the center of the cake comes out almost clean. Remove from the oven and allow to cool on a rack without removing from the pan. Once cool, carefully remove from the baking pan and cover with chocolate icing, or simply dust with a mix of cocoa and confectioner’s sugar. Combine almond milk and sugar in a heavy saucepan, bring to a boil and simmer for 5 minutes. Remove from heat and stir in the vanilla extract, chocolate and softened margarine. 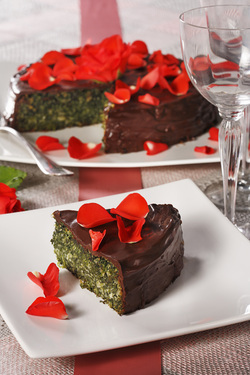 Stir vigorously until combined and spread on the cake using a large spatula. 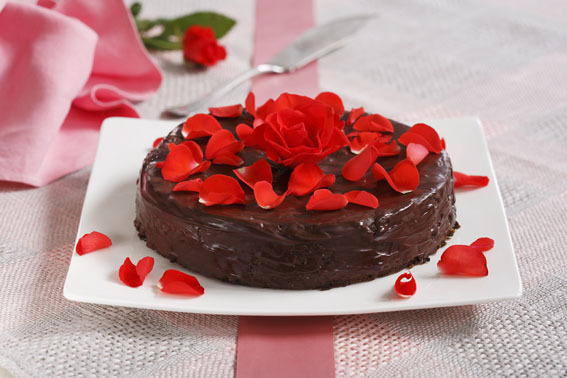 Decorate with rose petals or red berries, or cherries.